The Fed's active vol suppression (or, to paraphrase Fed Chair Powell circa 2012, the Fed's "short volatility position") has claimed its latest casualty: Argentiere Capital's flagship $940 million fund is returning capital to investors after years of failed bets on rising market volatility. The fund, which was founded by former JPMorgan top trader Deepak Gulati in 2013, will continue to manage a modest $250 million in other strategies. 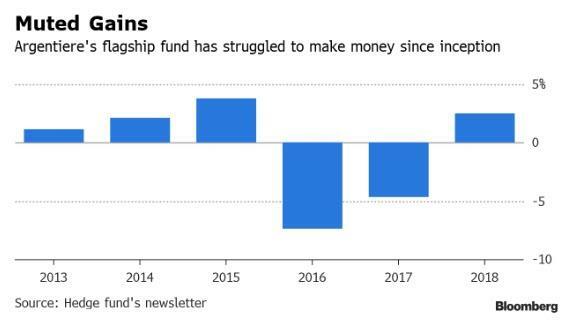 What is odd is that the Zug, Switzerland-based investment firm actually outperformed most hedge funds and the broader market in 2018, when it returned 2.5%, however it posted single-digit losses in the prior two years. The fund's premature end comes shortly after Gulati told investors at the end of 2018 that markets had finally seen “the end of the ultra-low volatility regime” and a strategy based on swings in prices “appears to be a very attractive asset class to own.” Alas this was not meant to be, as Powell shocked markets after he capitulated just a weeks later, resulting in a historic plunge in the VIX, which has collapsed from its December high, tumbling to a five-month low on Thursday as realized volatility suffered on its biggest drawdowns since 1928. The decision to shutter its biggest fund follows an increasingly troubled time for hedge funds which bet on rising volatility (and all other hedge funds too), due to activist central banks which now openly advocate for higher asset prices and lower volatility. 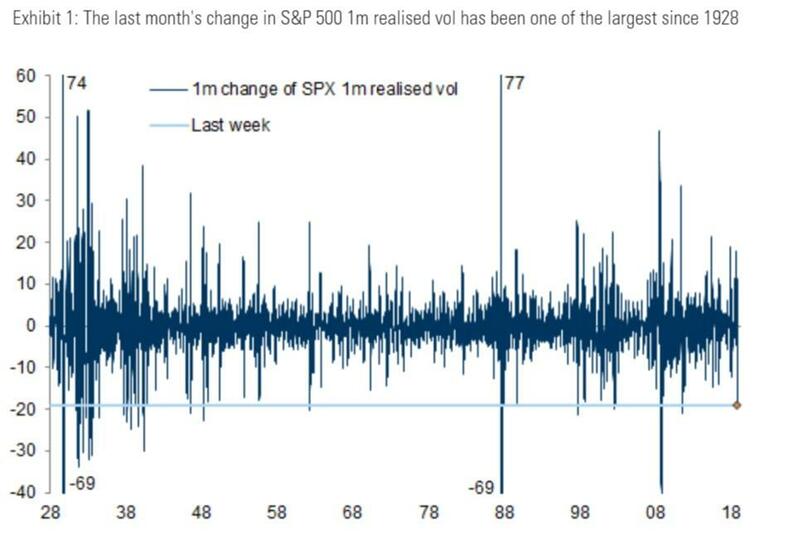 According to Eurekahedge’s Cboe Volatility benchmarks, hedge funds betting on volatility lost 6.1% in the first two months of this year, while those wagering on less turmoil made 2.8%. As Bloomberg notes, Argentiere, which was named after a skiing village in the French Alps, was started by Gulati and a team of former JPMorgan prop traders in 2013 with $300 million. At its peak in April 2016, the fund managed as much as $2.4 billion, Gulati stopped taking fresh capital. Assets evaporated as investors pulled out and performance waned. With central banks now actively micromanaging capital markets, hedge funds have found it next to impossible to generate alpha. A slew of hedge funds including Brenham Capital Management and Cumulus shuttered last year, leading to closures outnumbering launches for the third consecutive year, according to Bloomberg, citing data provider Eurekahedge. Generating profits for clients that beat benchmark returns is also more complicated with the traditional fee structure at hedge funds, according to Steve Eisman: "It is hard to make alpha when you are charging 2-and-20” in fees, the Neuberger Berman Group money manager said in a Bloomberg Television interview Thursday. “As we get to a more normalized rate world, it will be easier, but that is a long road." The bigger problem is that with the Fed's brief - and now failed - experiment with normalization now over, it is unlikely that central banks will ever allow a "more normalized rate world", one where price discovery is actually allowed, after prices quickly discovered 2,300 on the S&P in December. As such the future for hedge funds, who collected 2 and 20 to underperform a broader market which will never be allowed to drop by central banks, has never been more dire.